I’m really liking wine in a box these days. It’s more environmentally friendly, keeps well and since a box can hold 3-4 liters of wine you usually get a lot for your money. 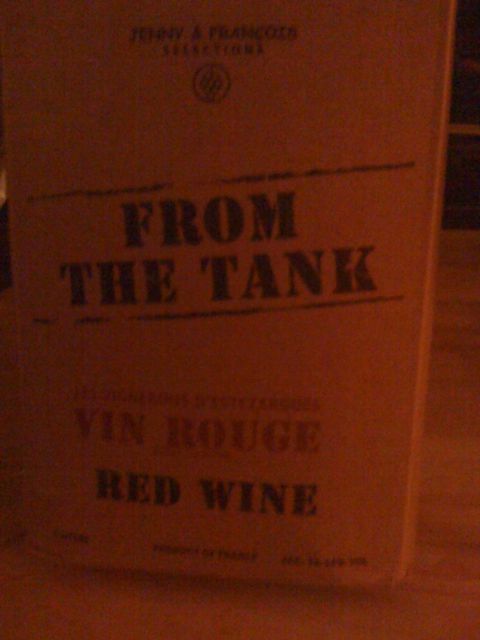 Bring on the Vin Rouge great nose-dark, fleshy fruit, dried leaves… Then I was disappointed with the midpalate and finish. Since most Cotes du Rhone wines are food wines, I tried the wine with Swiss cheese-what a difference! The wine and cheese compliment each other very well.